Recently, Arkansas set out to execute eight death row inmates in an 11 day span. The reason for the rushed and condensed executions? The state’s supply of Midazolam was set to expire soon, and they wanted to get the most use out of it while they still had it available. 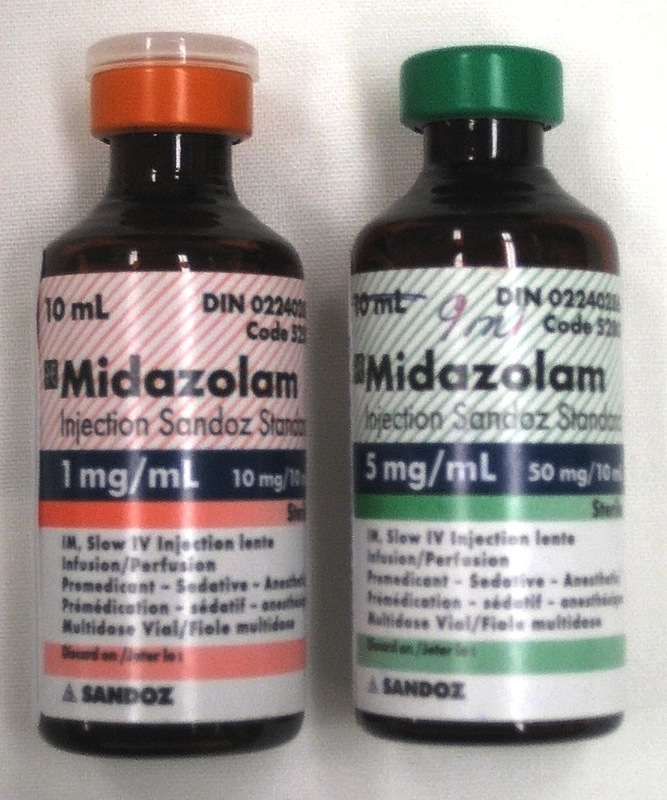 Midazolam is a drug that is used on Death Row inmates to stop their heart and lungs at the time of their execution. It is also used less aggressively as a sedative during medical surgeries. Its paradoxical use has been the source of numerous ethical concerns. Lethal Injection is often considered the new, “humane” form of execution. We’ve long strayed from the idea of the electric chair and public hangings (although nine states still legally employ the method of electrocution, no one has faced the chair since 2013), and moved on to a quieter, less barbaric way to take someone’s life. At least that’s the idea behind it, as 35 out of 50 states as well as the federal government and U.S. military, employ lethal injection as their main form of execution. The way the drug is supposed to work is as an extremely heavy sedative. An inmate is strapped down to a gurney and fitted with an IV that will first administer a saline solution, and midazolam (a benzodiazepine compound) is injected to sedate the inmate before the drugs that relax the diaphragm and stop the heart are administered. However, the term “botched execution” is often also associated with the drug. In 2015, courts ruled in and a 5-4 vote that the use of midazolam was not considered “cruel and unusual punishment.” This was following several “botched” executions, where inmates were seen waking up after the lethal drugs had been administered, being forced to feel the full impact of asphyxiation and cardiac arrest. The controversy lies in the drugs ability to adequately sedate an inmate before their execution. Is the use of midazolam humane? Looking past the morality that’s questioned when thinking about the death penalty in general, what are the rights of an inmate waiting to die? Does an inmate living on Death Row have the right to a quick and painless death? Lethal injection provides a sense of relief to both inmate and executioner. For the same reason that a firing squad consists of more than one man with a gun, lethal injection helps remove the weight of the death from the executioner’s hands. No switch to flip or trigger to pull, just an IV administered the same way any doctor would for a surgery. But the effects of that IV are important, even if they are something we’d probably rather not think about. If we deem the death penalty necessary for now, then we owe the executed a quick and painless way out, even if they did not offer their victims that luxury. Just as “an eye for an eye makes the whole world blind,” torture for torture makes the whole world evil.